Girls - it's time to give the guys props on their ability to style themselves for the big day. These days a standard single-flower boutonniere and generic tux rental just won't cut it. 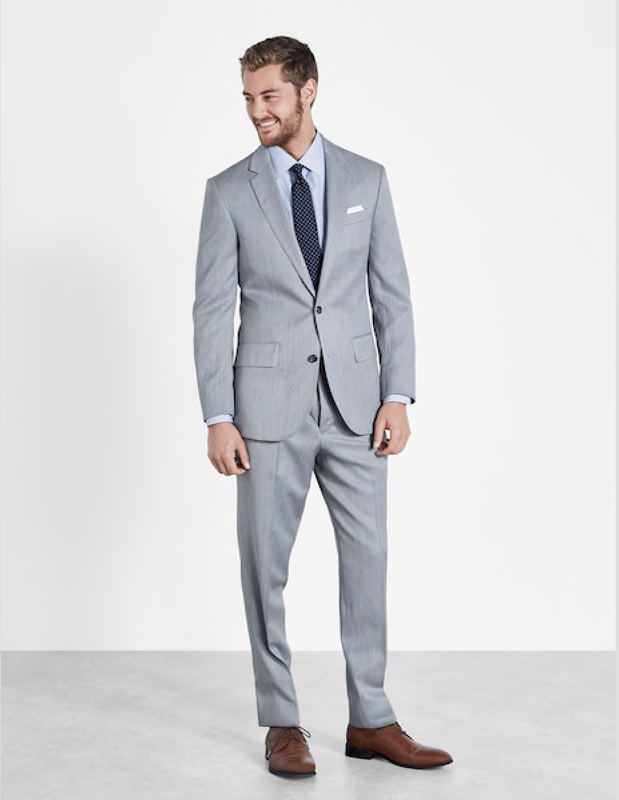 A suit is traditionally work with a necktie and regular spread collar. A tuxedo has satin lapels, satin stripes down the sides of the pants and is traditionally work with a bow tie and wing tip collar shirt. Invited to a wedding citing "festive" or "informal" attire? Don't fret. The folks at The Black Tux have published a full dress code guide for all types of fetes. What's trending in mens bridal fashion, you ask? Metallics have been a huge trend in event decor over the past year and they are now filtering into wedding fashion. Bridesmaids flashing gold sequin dresses and groomsmen in mixed neutrals like the grey and tan suits from The Black Tux's Collection are the perfect compliment to a bride in white. 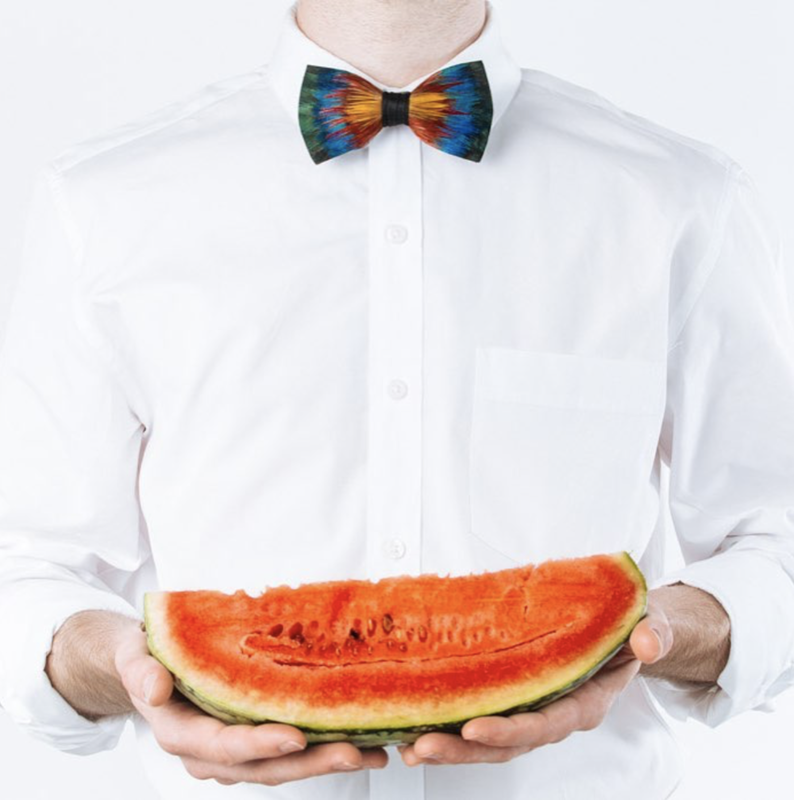 Our friends at Square & Chamfer have designed handmade wooden bow ties for Everything Groomsmen that use a variety of species to bring out the natural colors and patterns of the wood. 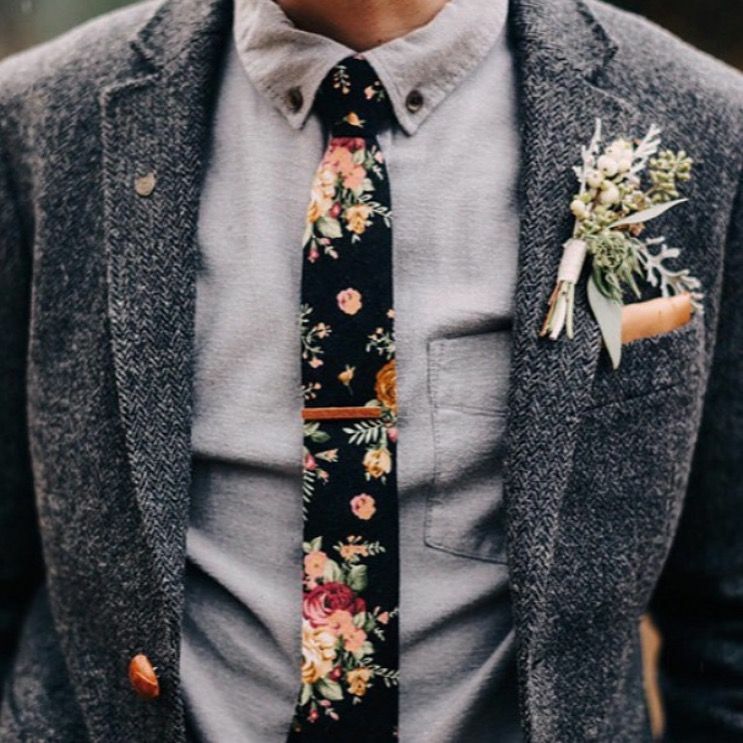 Their wooden bow ties are perfect for the rugged outdoorsmen looking to bring a masculine vibe to their wedding day look. Fashion-forward Southern gentlemen have been sporting Brackish Bowties made of guinea fowl and peacock feathers. These bow ties are the perfect accessory for the groomsmen who are looking for a little color and texture to customize their wedding day looks. 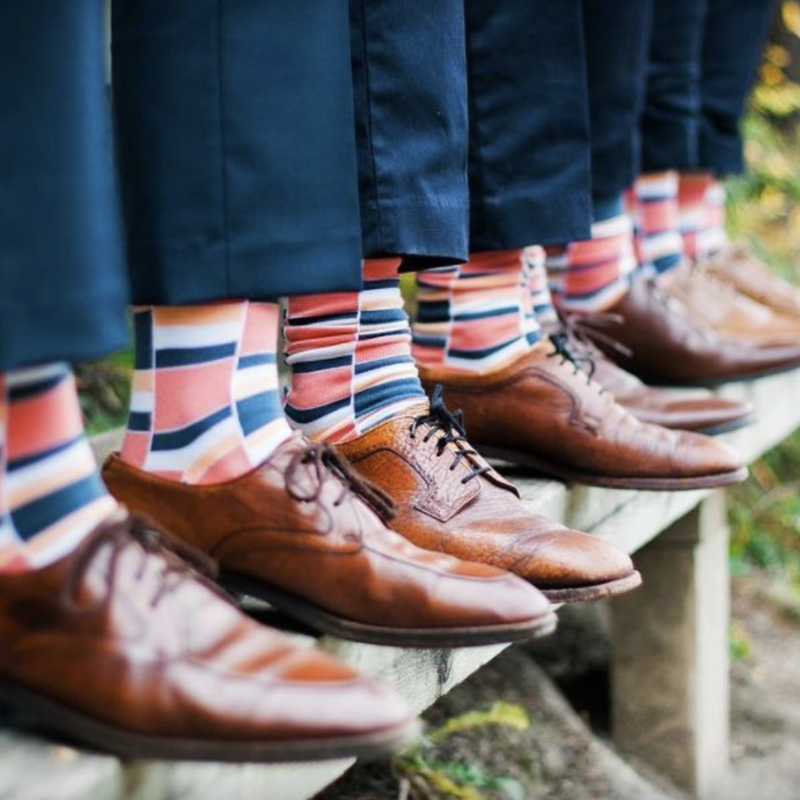 The more conservative bridal party can add a little cheeky flare to their wedding day looks by sporting patterned boldSOCKS. Bright stripes and mixed patterns bring a playful vibe to a formal outfit. 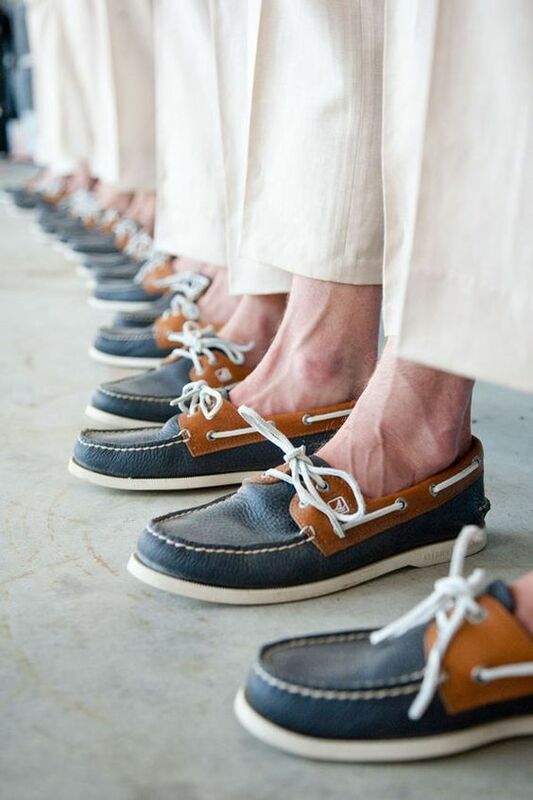 Shoe options for grooms are relatively expansive depending on the wedding's locale and level of formality. Shoe options typically include oxfords and loafers for more formal events and can include slippers, flip flops and even Converse All Star sneakers for more informal weddings. Many modern couples are looking to customize their wedding fashion based on their own personal styles. Grooms are free to incorporate patterned shirts, textured ties and out-of-the-box suit patterns. At the end of the day the most important rule with mens wedding fashion is that you make it your own. A groom's attire should match his personality, compliment his body type and should make him feel like the best version of himself.